30 ‘whips’ have been kindly donated to the CDYST from The Woodland Trust. These have now been planted. 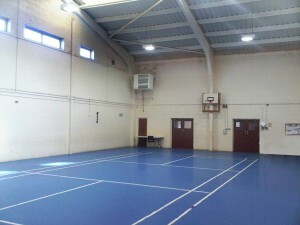 The much needed hall refurbishment work is now complete thanks to funding from the Big Lottery. Picture shows the main hall with the new efficient heater in place. The CDYST Trustees have made a new wet-room style shower area in the Ladies’ Changing Rooms, re-plastered the meeting Room walls, re-decorated the Meeting Room & corridor – and are about to have the Sports Hall heating replaced.